Four of 28 boxes of crayons tested positive for asbestos, according to the newly released report from the advocacy group. A private lab hired by the EWG Action Fund, a sister organization of the Environmental Working Group, also detected and confirmed asbestos in two of 21 toy crime lab kits it evaluated. Breathing in microscopic asbestos fibers has been linked to serious health problems, including lung disease, lung cancer and mesothelioma. The Environmental Protection Agency says exposure to asbestos only occurs when asbestos-containing material is disturbed, and when the particles become airborne. “Parents do need to be concerned about particular brands of products where asbestos was identified,” said Dr. Jerry Paulson, the former chairman of the American Academy of Pediatrics’ Council on Environmental Health. Package labels indicated that the crayons and toys containing asbestos were made in China and imported to the United States, according to the report. Affected crayon boxes included Amscan Crayons purchased at Party City as well as Disney Mickey Mouse Clubhouse, Nickelodeon Teenage Mutant Ninja Turtle Crayons and Saban’s Power Rangers Super Megaforce boxes purchased at Dollar Tree. The two toy crime lab kits with contaminants included the black fingerprint powder in the Edu Science Deluxe Forensics Lab Kit, purchased at ToysRUs.com, and the white fingerprint powder from the Inside Intelligence Secret Spy kit, purchased on Amazon.com. However, the EWG Action Fund report does not list the amount of asbestos found in the products. Paulson, who is not affiliated with the report, said that powder from the crime lab kits was of particular concern. “Powders make this material much more available to the lung, where asbestos does its damage,” Paulson said. The Consumer Product Safety Commission “takes the issue raised in the EWG report seriously, and CPSC staff is going to follow up in regards to the product that the EWG identified in their report,” Scott Wolfson, communications director for the CPSC, told CNN. While reports of asbestos in children’s toys aren’t common, this isn’t the first time kids’ products have tested positive for asbestos. The EWG Action Fund conducted its study as a follow-up to earlier investigations, the report’s co-author, Sonya Lunder, told CNN. In 2000, the Seattle Post-Intelligencer found asbestos in crayons, and the nonprofit Asbestos Disease Awareness Organization found asbestos in a toy fingerprint exam kit in 2007. “It is really shocking to have had these two reports previously raise attention to the issue (and) have manufacturers pledge to pay more attention and to see there are still products on the shelf that have talc, which is contaminated with asbestos in many cases,” Lunder said. 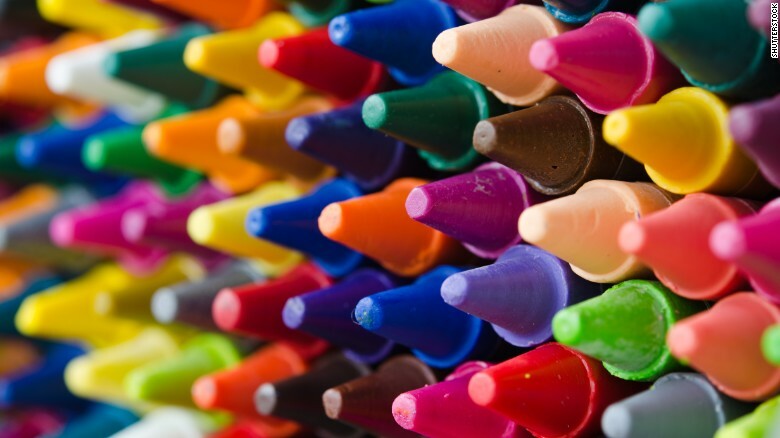 For its recent report, the EWG Action Fund purchased crayons and toy crime lab kits at national retail chains near San Francisco or at online retailers between February and May 2015. The Scientific Analytical Institute in Greensboro, North Carolina, conducted the product testing, according to the report. The group also tested sidewalk chalk from two retailers; no asbestos was found. The report said three types of asbestos — tremolite, chrysotile and anthophyllite — were found in the children’s products. The asbestos was probably a contaminant of talc, which can be used as a binding agent in the crayons and in powder in the toy crime lab kits. According to the report, asbestos is often found in mines alongside talc deposits. Unlike regulations governing lead in children’s toys, Congress has not passed any laws pertaining to asbestos in children’s products, the CPSC’s Wolfson said. In 1989, the Environmental Protection Agency issued a ban on most asbestos-containing products. However, this regulation was overturned in 1991, leaving bans on only a few products. Today, products containing asbestos that could be inhaled are required to be labeled, according to the CPSC. Asbestos that might release fibers is most often found in building products and insulation materials used before the 1970s. The Occupational Safety and Health Administration lists “asbestos-containing material” as any material containing more than 1% asbestos. The EWG’s Lunder said that’s not a tough enough standard for health. “This is an avoidable risk. This is a known carcinogen and our risk standard or threshold for exposure to cancer-causing chemicals in (kids’) toys should be zero,” Lunder said. The EWG Action Fund is calling for regulatory and policy changes and says there’s a need for sensitive methods to detect asbestos and asbestos-like fibers in consumer products. It also wants to see talc banned from children’s products such as crayons, fingerprint kits and chalk. Paulson, the pediatrician, also supports additional regulatory action, especially as it has become a recurring issue. “This issue of asbestos in toys, in particular in crayons, is a problem,” Paulson said. “That was identified 15 years ago. All produced in China, I’m sure! The risk a child would be exposed to the fibers through inhalation of ingestion of crayons containing asbestos and transitional fibers is extremely low. No fibers were found in the air during a simulation of a child rigorously coloring with a crayon for half an hour. The risk of exposure by eating crayons is also extremely low because the fibers are embedded in the crayon wax and will pass through the child’s body. Which include China, Canada, and Thailand. I haven’t been able to find out which one comes from where, however. It would seem to me that some of the products said to contain asbestos have a much greater chance of being inhaled, i.e. fingerprint dust & spackling. I can’t understand why products that will have airborne particles wouldn’t be regulated/tested for something such as asbestos.